As a U.S. service member at Camp Pendleton, if you have been charged with a serious crime, you have the right to hire a military defense lawyer. The Federal Practice Group is dedicated to representing military service personnel and protecting their rights. As a military defense lawyer, from The Federal Practice Group has successfully represented many armed forces members who were stationed at Camp Pendleton. If you are facing a court martial, an Article 32 hearing, or any other legal proceeding, contact us to schedule a free initial consultation with our military defense lawyer. After a discussion of your circumstances, The Federal Practice Group can offer guidance to help you make the right decisions that will protect your future. Article 32 of the UCMJ provides service members the right to provide their version of what happened before being charged, and the ability to cross-examine witnesses during their hearing. To improve the likelihood of a positive outcome, you may be best served by having a military defense lawyer at your side during your legal proceedings at Camp Pendleton. This is important because you can avoid a court martial if the hearing officer determines there is not reasonable cause to pursue the charge against you. It’s very possible that with the experienced representation of a military defense lawyer from The Federal Practice Group, the allegations against you might be dismissed. In this way, you will not have to undergo a trial. 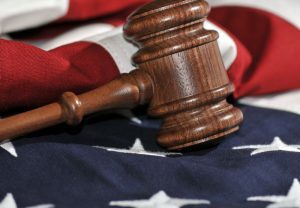 After the Article 32 hearing, if the hearing officer determines that there is reasonable cause to pursue the charge against you, they may recommend a court martial trial with a jury of service members or a judge. At an Article 39(a) hearing, the preliminary legal matters will be resolved. Following this hearing, an arraignment will follow during which you will be required to enter a plea. If you plead guilty, you will then be sentenced. If you plead not guilty, a trial will follow. Similar to a civil trial, you will be sentenced only if the trial results in a verdict of guilty. Throughout all of the legal proceedings at Camp Pendleton, a The Federal Practice Group military defense lawyer can represent you and provide legal advice. They can also explain the process and regulations that you and the court must follow. Whether you have been charged with sexual assault, absent without leave, desertion, or another serious offense, our military defense lawyer from The Federal Practice Group can develop a compelling legal strategy on your behalf. If you have already been discharged from the military and it was not honorable, medical, or general then you may benefit from fighting it. We can help you determine if you have grounds for an upgraded status of your discharge. Your military defense lawyer may be able to prove that the information in your records at Camp Pendleton is in error and should therefore be addressed with a positive change in your status. To learn more about the legal services offered by our military defense lawyer and how we can help you if you are stationed at Camp Pendleton, contact us to request a free consultation.